Oh my gosh. This pattern. 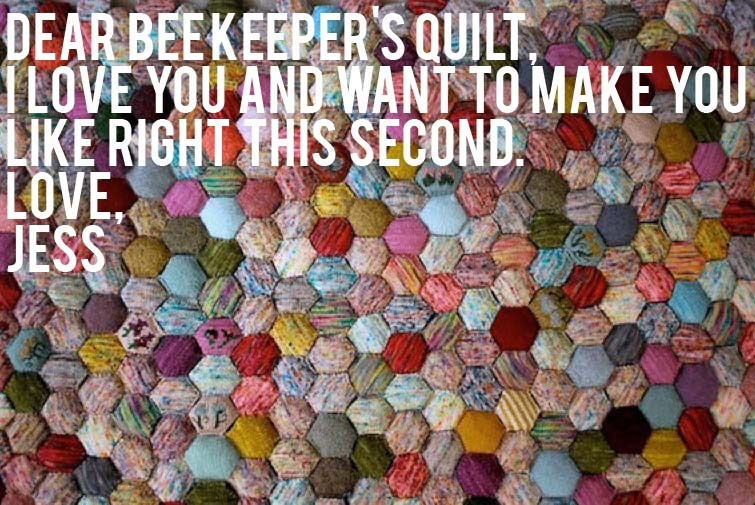 The “BeeKeeper’s Quilt.” Love. Love. Love. I’m not even sure what this really is. A blanket? Sort of. A pad? 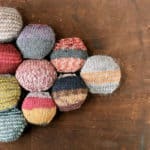 A collection of awesome squishyness? Most definitely. 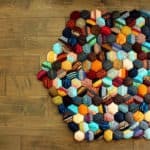 A 3×4 foot blanket takes about 380 hexapuffs. That’s straight up insanity. Do you know how long it’s going to take me to knit that many of these things? 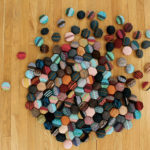 OUT OF SOCK YARN? But I don’t care. I’m not even sure what I’ll do with the finished quilt/pad/rug/cloud thing, but I want it more than I’ve wanted any knitted item in a long time. I even dreamed about this pattern last night. So I am getting started. In fact, I’m twitching with anticipation of what this could become. Now all I need is about 968 hours of free time. If you’re as infatuated with this pattern as I am, get it right here on Ravelry. See more of the designer, Stephanie Dosen’s, patterns here. As fantastic as this Beekeeper’s Quilt pattern is, Stephanie’s not a one-hit-wonder by any stretch. Nope. Apparently she specializes in everything amazing. 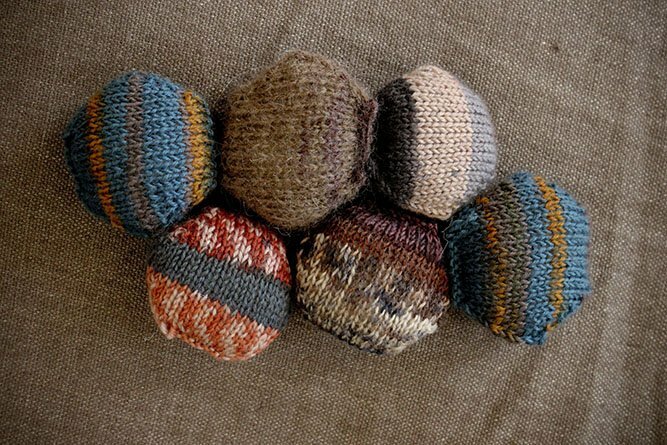 The two top photos of bountiful hexipuffs are courtesy of Stephanie’s dreamy site, Tiny Owl Knits. I am rooting for you! We can be 78 in our rocking chairs on a porch somewhere beautiful (did we decide on Spain or Portugal?) working on our honeycomb quilts. Can’t wait! How about San Sebastian? But can we do it when we’re 38 instead?! I know, right?! Best quilt ever!!! 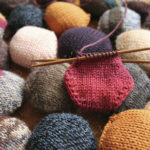 I have started making these lovely hexapuffs but was wondering, is there a way I can tell which of the rounds is just a knit round and not a decrease or increase round? Not a very experienced knitter and the answer is probably really simple. If so – apologies for being dim!! Hey Linda. I’m so glad you’re giving this fun project a try! 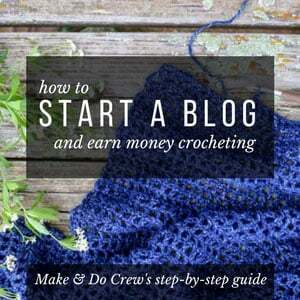 I think it’s great for a beginner or a more advanced knitter. The way you can tell what you’re supposed to do on each round is by looking at the first 1-2 stitches at the beginning of each needle. 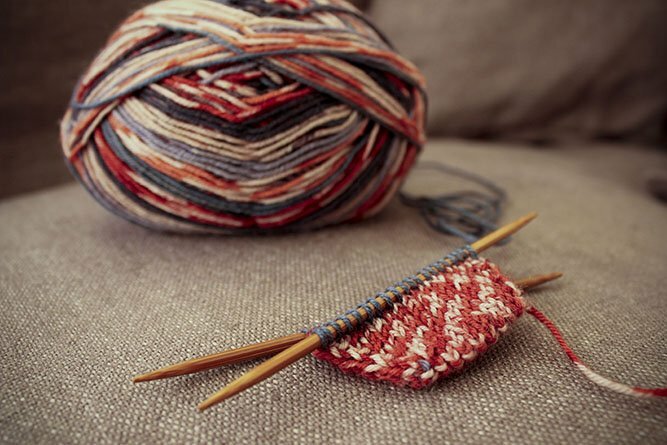 If you see a weird little twisted stitch from the previous round (which would indicate you increased on the previous round), then you’ll just knit normally all around. If you see that right below the first stitch, two stitches are squished together into one loop (which would indicate you decreased on the previous round), again you’ll just knit normally all around. Does that make any sense at all? If you’re still having trouble, let me know and I’ll send you a photo of what I’m talking about. Good luck! What is the best way to put it all together? Well, I am more then halfway through the sockwool blankie and still have loads of sockwool and already loads of socks, no second socksyndrome over here. So now I have started the Beekeeper, thus I will have “leftover” sockwool for my Blankie. I just knit from a longtail caston a toe-up toe, then decrease as in sock down toe on 4 dpn’s, love it. The hexagons look quite different from the domino’s in the same yarn, Blankie will be a cosy plaid, Beekeeper a real stuffed woolen blanket. We still do sheets and blankets in our house, quit stubborn refusing duvets. My blankets are getting thinner after nearly forty years, so I will knit a new warm one all by myself (no central heating either). yay! Fellow bee keepers! Can’t wait to see your finished quilt. I’m on hexi 37- I have pledged to make at least one puff per day- here’s hoping I can keep up the momentum! I 100% agree! I started making my own pile of hexi-puffs last year and I cannot wait until I have enough for a baby blanket! That’s exactly what mine are going to become just as soon as I sew them together. I’d love to see a pic when you finish yours! grandma says your as crazy as she is .She must have passed it on to you. I know that secret way too well and from now on, I’m blaming my late night crafting on genetic predisposition. Working 20 hours a day on quilts is the only way you could possibly ever get as much beautiful work done as you. Unless you have some sort of Florida retirees sweatshop going in your guest room? Either way, I’m ALWAYS impressed with the results. OMG! 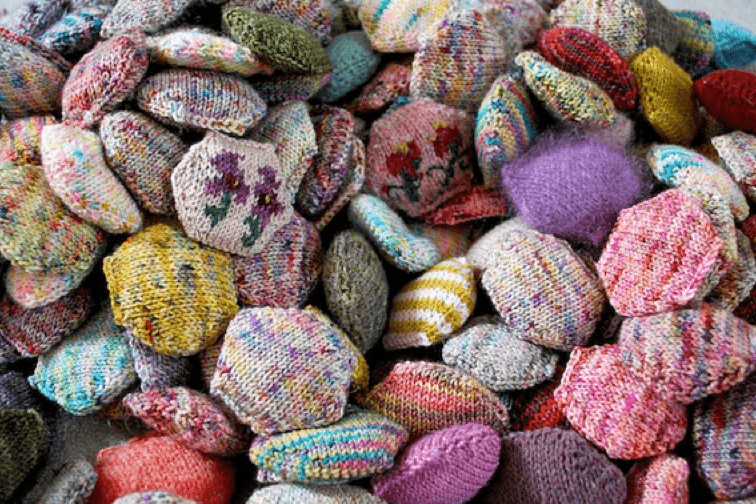 Now that is even more tedious then the quilted version which I am slowly making my way through… Hats off to you! Yes, it’s a wee bit tedious, but so fun at the same time! A quilted version sounds exciting though. Maybe we should put them together and roll around in the fluff all day! is there a crochet version?